Kyiv Mayor Vitaliy Klitschko has congratulated patrol police officers on the occasion of the 1st anniversary of their service, the city council chief's press service reported. Klitschko recalled that the new police service that was established a year ago had faced a new challenge. It was tasked with helping bring to life a new philosophy of work of law enforcement agents. "The past year has shown that Ukrainian law enforcement agencies are able to carry out their duties according to absolutely different standards than before, and their performance has reached a substantially new level," he said. Klitschko added that the police officers are showing the ability to bring about changes. The mayor noted that it is thanks to the police integrity in the issue of ensuring the rule of law that citizens feel compelled to respect law and order. 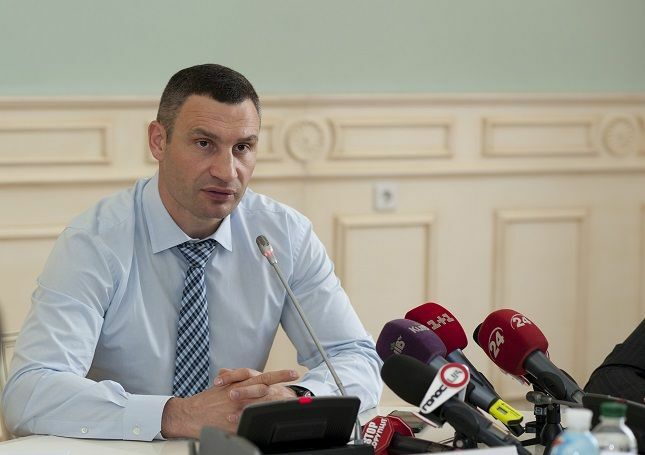 Klitschko stressed that as the mayor of the Ukrainian capital city he considers one of his major tasks to be the ensuring of security for residents and visitors of the city. In this regard, the local authorities render assistance to the police, he said. "Our task is to do everything so that the Kyiv police could operate according to the most innovative ways," Klitschko said. He recalled that as part of the "Safe Capital" program and the introduction of Smart City management system, surveillance cameras are being installed on streets of the city, free of charge English courses have been arranged for officers of 102 Service, and 100 bicycles with equipment have been provided for the patrol police in Kyiv. "I always say that the city authorities and the police are one team. We count on the Kyiv police. And the Kyiv police may rely on the community that has been helpful in restoring the public order in our city," Klitschko said. Kyiv's mayor also emphasized that the local authorities would continue to support the Kyiv police to make them more professional, modern and with high-technology equipment. "The police must enhance their performance. Law enforcement officers must provide an effective service and promptly respond to serious challenges that the capital city is facing today," Klitschko said adding that the city residents expect to see clear actions of the police with regard to the fight against corruption, maintenance of order on the roads and parking areas, as well as the fight against illicit trade, etc.